I just read a novel about the Falklands War. This is a conflict about which I knew virtually nothing, save that it took place in the early 1980s – 1982, to be precise. Having just finished this novel, I don’t know a great deal more on the subject. 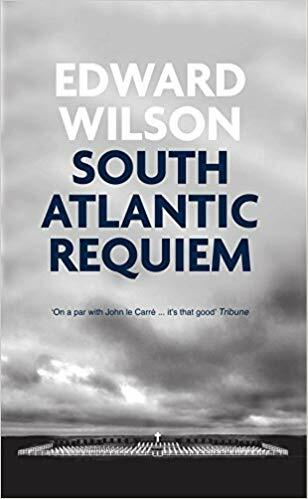 Like all good espionage yarns, the plot of South Atlantic Requiem careens wildly from one place to another, without pausing for breath. At the dead center of this frenetic activity is one William Catesby. At the behest of England’s MI6, he goes undercover – or as himself – in pursuit of secrets being kept by the Argentinians, as well as other individuals and nations embroiled in the conflict. As the book gets under way, we meet not only Catesby but also a young and very capable agent he has recruited. She’s Fiona Stewart, a British student living in Argentina and supposedly working on a doctoral thesis on Jorge Luis Borges. At first, Fiona manages to gather and send crucial intelligence to Catesby while keeping up with academic pursuits for the sake of appearances. But then she begins a love affair with Ariel Solar, crack polo player and military pilot. At that point, everything else falls by the wayside, as it will tend to do in such situations. In one of the novel’s earlier scenes, at a meeting with his colleagues in intelligence and in the military, Catesby is queried about the inside information, or lack of same, coming from his agent in Argentina. Why hadn’t she tipped them off with more precise intelligence as to the bellicose intentions of the Argentinians? Catesby decided to own up. ‘Okay. There has, in fact, been a lull in communication from this agent. We have no idea what has happened or whether communications will resume.’ It certainly wasn’t, thought Catesby, the best time for an agent to dry up. Catesby did have a very good idea what had happened, but it wasn’t one that he could air at a JIC meeting. She had chosen love over patriotism. There was, in other words, a very good reason for Fiona’s radio silence. At a moment of urgent passion, coupled with a need to prove fidelity, the actual radio – her key transmission device – had been tossed into a river. Fiona and Ariel, pledged to each other for good. Fiona then all but disappears from the narrative. She reappears later – much later – but in the interim, I missed her. For me, the single most extraordinary episode in the novel is the scenario in which Catesby goes fly fishing in Patagonia with French missile expert and mathematical genius known only as Pascal. As they are both – supposedly – vacationing in this idyllic spot, they become friends. It’s a dicey situation: Catesby’s orders call for him to kill Pascal. It was a beautiful day for a murder. The skies of Patagonia were crystal clear – a perfect backdrop for the Andean condor that Catesby spotted on the way to the river. Murder or no murder, it was a sight that Catesby and his victim wanted to treasure. He stopped the car and they both got out to stare at the magnificent bird. The condor has a wingspan of more than ten feet, the largest of any land bird. This one was almost motionless against the sky – more an icon than a living bird. This develops into one of the most intense scenes I’ve encountered in recent crime fiction. It alone would have been worth the price of admission. South Atlantic Requiem startled me on several counts. Margaret Thatcher’s disparaging of Reagan. The widespread disparaging of Thatcher herself by other characters. Kill orders being given secretly to government operatives. This is a fascinating read, and a disturbing one as well. A decorated veteran of the Vietnam War, Wilson traveled widely after his military service. 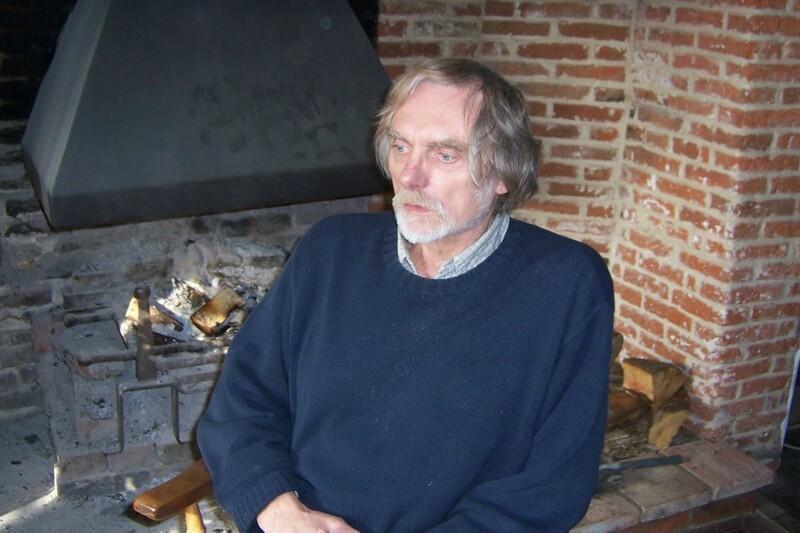 Ultimately he settled in Suffolk, England, where he took up the teaching profession and continued in it for some thirty years before becoming a full time writer.